Rubber Inc. Formed late in 1998 by partners Malek Lopez and Noel de Brackinghe, Rubber Inc. successfully pioneered the concept of live dance music in the Philippines. Often confused with DJs the duo originally utilized an arsenal of keyboards, mixers,effects, samplers and sequencers to create music rather than relying upon records or CDs. 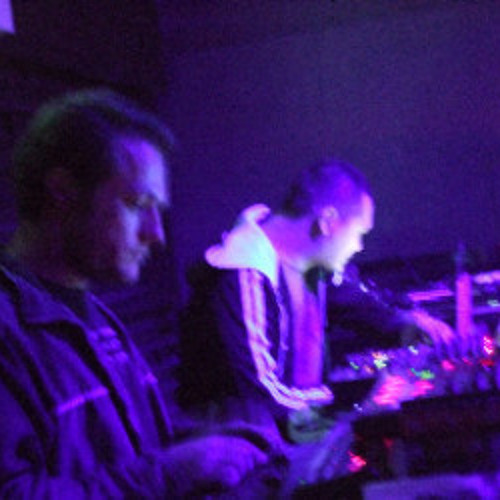 Having gigged extensively throughout Manila as well as trips out of town to Cebu, Boracay and even Lucena the group have honed their skills to the often fussy markets of the Philippines with a very distinct sound that incorporates elements of techno, house, breakbeat, latin, drum n' bass and the more leftfield sounds of groups like Autechre and Aphex Twin. Not limiting themselves to the dancefloor Rubber Inc. have done numerous art gigs including performances at the CCP (Cultural Centre of the Philippines) sound design and soundtrack work for multimedia theatre and Ballet Philippines at the CCP. Additional production work has included several commercial projects like product launches and commercials, remixes and arranging for local singers. 2001 saw Rubber Inc. break away from the club scene to focus more on studio work; having setup Sweetspot Studios mid-year to cater to recording projects from local labels and unsigned bands as well as their own projects. Sweetspot has become a succesful production company over the years. With Malek focusing on scoring projects for television, film and art exhibits. Noel spent his time honing his skills as an audio engineer and has produced or engineered many highly acclaimed albums. Malek also formed a band 'Drip'; a female vocalist fronted band playing trip hop, drum and bass and everything in between. (dripmanila.multiply.com) Now with Sweetspot becoming a more stable entity and the addition of apprentices, Rubber Inc have found the time and motivation to start producing and gigging more extensively once again. With the years of studio experience and the advancements in music technology the band have a whole new set of tools and skills that has advanced the bands sound and production. 2007 sees them return to the music world full force gigging in Manila once again and being invited to play at the Co-Pop Festival in Cologne, Germany, with further collaboration with the Teichmann Brothers scheduled for later in the year.